Let Fiori Reference Library recommends Best Fit Fiori Apps for your business needs !! Fiori reference Library is an online repository of all the Apps available with technical information like – Important SAP Notes ,Prerequisites, Support Package Level, Add On and even the configuration detail to get the Apps Up and Running. I will not go into much details of feature of Reference Library and you can check out this link if you want to know more. Recently I came across a feature in Fiori reference Library which can help big time in your Fiori Implementation project. SAP Fiori Apps Recommendations. 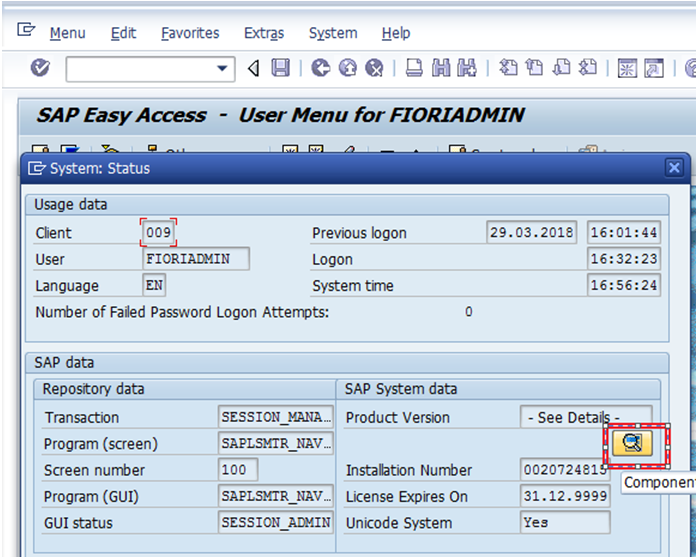 ● Installations required in order to use certain SAP Fiori apps. Below I have document all steps of How to use this feature. Prerequisites – You need to have an S-ID (SAP User Id). 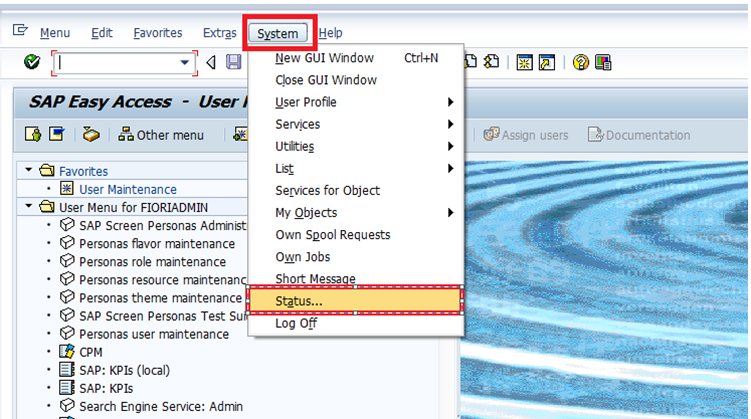 Lets first start by getting Usage and System Profile from SAP System. Login to SAP ECC/ S/4HANA System. Go To T Code – ST03. 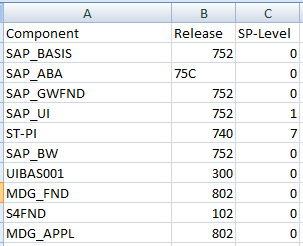 After Downloading, keep only first column and delete all other columns, then save this in CSV format. It should look like this. 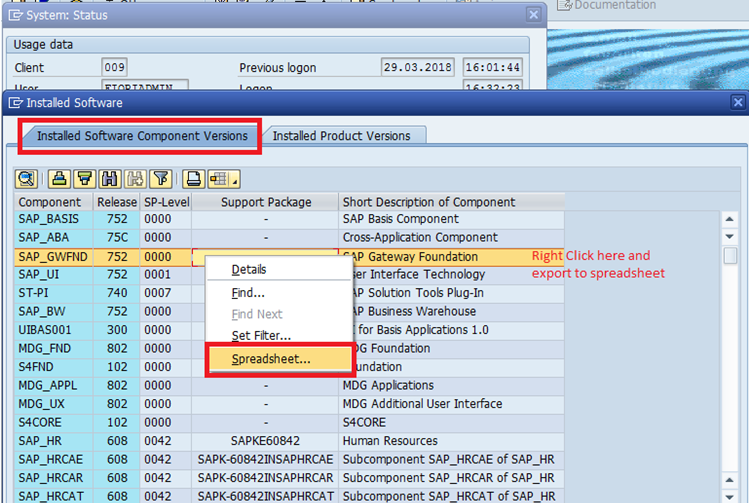 System Profile – Extract System profile from your SAP system. After Downloading, keep first thre columna and delete all other columns, then save this in CSV format. It should look like this. Step 3 – HANA Profile (This is Optional and only applicable if your database in HANA). Save the result as a CSV file. The file is created with all cells separated using ; as a separator. Note – To execute this query, you need select privilege on DELIVERY_UNITS table in the _SYS_REPO. Execute this query with SYSTEM user. Click on – Get SAP Fiori App Recommendation. This will prompt for User and Password. Provide your S ID with Password and login. Step 5 – Create New Analysis. Step 6 – Upload Usage profile that we have extracted in Step 1. Step 7 – Now upload System profile that we have extracted in Step 2. Note – If you have embedded deployment (Frontend and Backend on same system) Uplaod same System profile for both Front-end and Back-end, else extract and upload respective profiles. If you are not on Hana DB, No need to upload Hana System Profile. Step 8 – Give a name to your Analysis and hit – Get SAP Fiori App recommendation. Here you go, Fiori reference Library has suggested Apps based on you Relevance (most used transaction) and Readiness. You can view or download this information. nice blog, Thanks, didn’t know this feature yet. This is great. Also interesting for lower backend versions. Does anyone know how to find an App for a corresponding GUI transaction? I have run a search in the App library but couldn’t manage to find! For e.g. there is an App “Manage Cost Center Master Data” (App ID:F1023) which allows to create, change and display a Cost Center (KS01,KS02 & KS03 respectively). With this same App I expect to have an option to delete a Cost Center (KS04) but that option isn’t available, instead there is a separate App to just delete a Cost Center. Question: Is it possible to add a transaction code to the back-end transactions of an App? 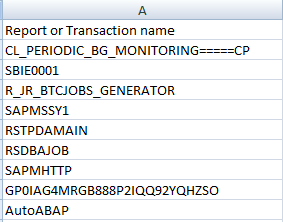 referring to the above example how could I add KS04 as a backend transaction for App “Manage Cost Center? If you type in transaction name in the fiori app library , you get the relevant apps for that transaction.